On Saturday, April 5, the Most Reverend John W. Flesey, D.D., Regional Bishop of Bergen County and Rev. 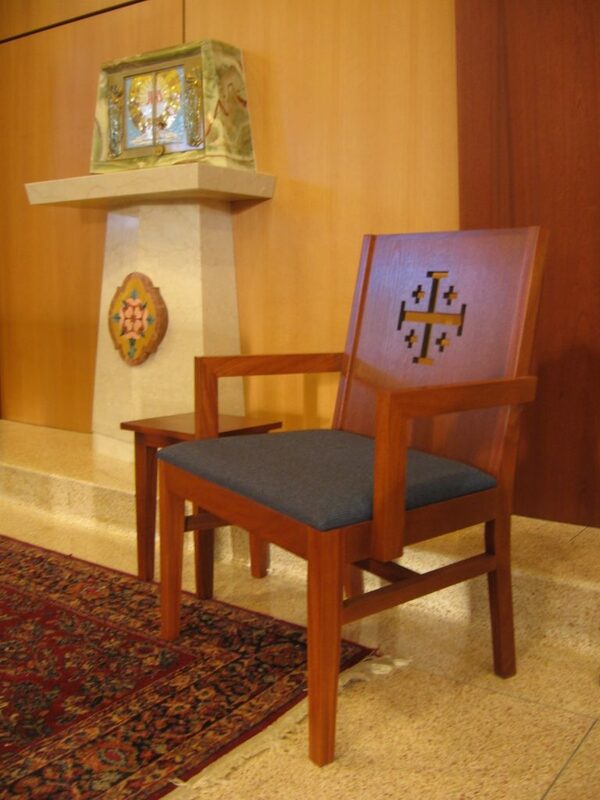 Charles Pinyan dedicated the new liturgical furnishings at Church of the Guardian Angel. 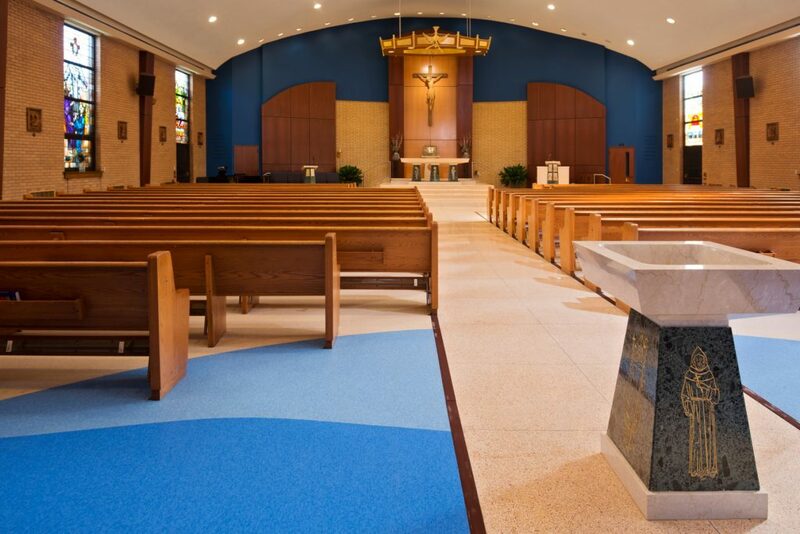 The church was closed for just over 2 months while the contracting firm of Victor Zucchi & Sons transformed the worship space to the photo below from the photo below that. The renovated worship space, designed by Foresight Architects. Bishop Flesey anointing the altar. The “new” tabernacle in the renovated Guardian Angel Church. 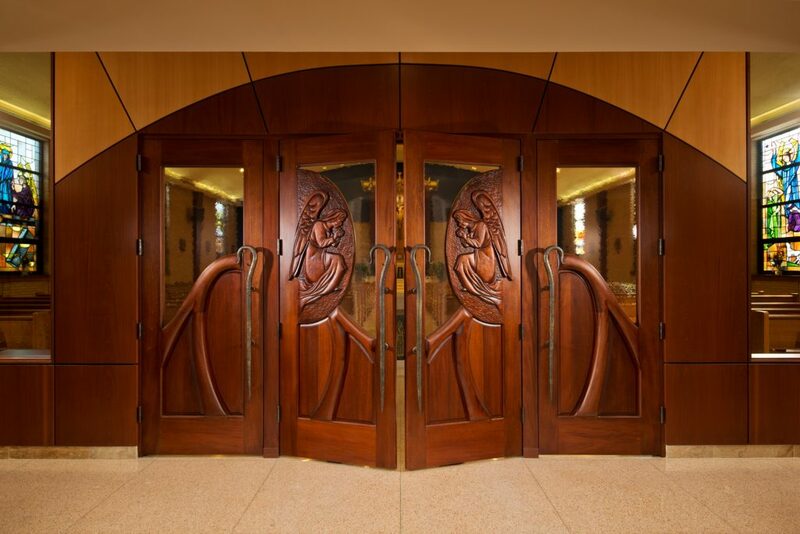 If you look carefully, you will notice that the tabernacle doors are flanked by bronze angels. This is just one of the aspects of the furnishings that made them perfect for Guardian Angel. To carry this theme to the entry, custom doors were carved with a pair of angels to greet the worshipers and completes the theme started in the stained glass windows. The new custom carved mahogany entry doors. At the end of the Mass, Father Charlie had a long list of people to thank, ranging from the Construction Committee to the contractors, and everyone in between. 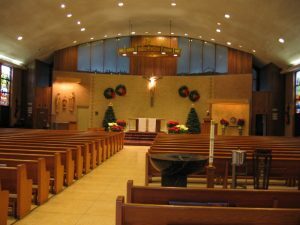 The music sounded wonderful, with an updated sound system, and many parishioners commented on how much the renovation enhanced and beautified their 48-year-old church. 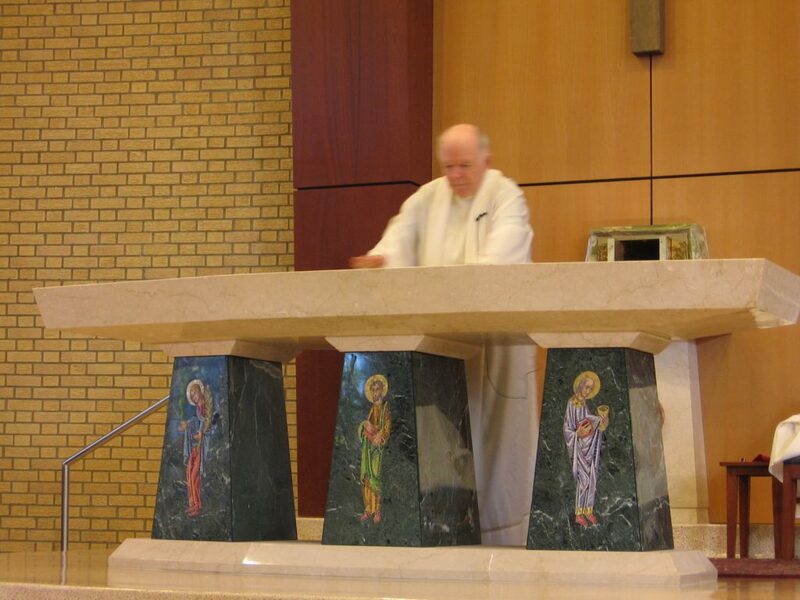 It was a wonderful liturgy – the first of many to be held in the updated Church of the Guardian Angel. I encourage you to stop in and see all the angels for yourself the next time you’re in Allendale. In the meantime, you can click here for a virtual tour of the building and the worship space.